Located in Leamington, UK, Kingsley School as had an excellent reputation for high academic standards and first-class pastoral care for 133 years. 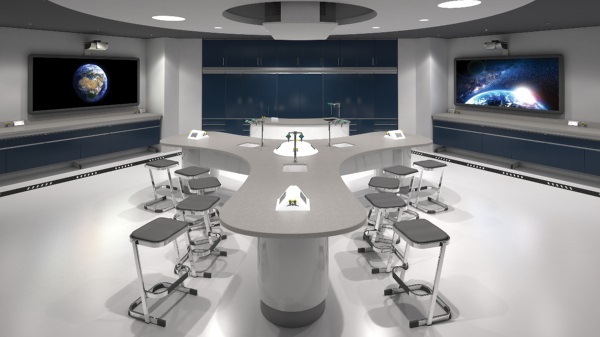 As part of their aims “to create an environment where the educational process is enjoyable and valued” and “to foster creativity” the School’s 4 laboratories and 1 prep room will be refurbished this summer such as to reflect their philosophy. The school put the students at the centre of designs and thought about how each space can be configured to benefit them. 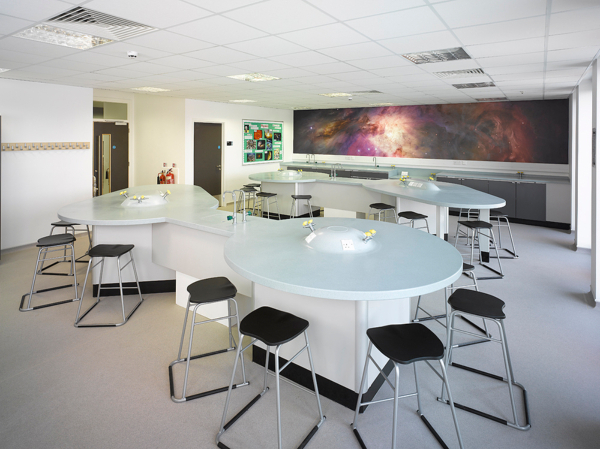 Different areas feature different school furniture systems, such as Spacestation, Saturn Light, Saturn and Mercury, Crescent and StemLine, examples of which are illustrated in the pictures below. Teaching walls provide additional storage hidden away behind sliding whiteboards and allow space for incorporated interactive ones. 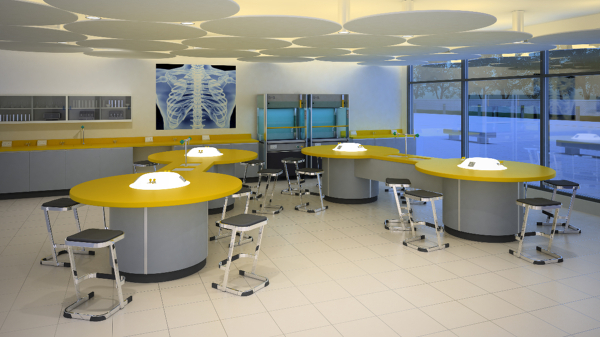 The labs share a re-circulatory Mobiline fume cupboard that can be connected to the docking stations fitted to science workstations and then can be housed out of the way when not in use. The Preparation Room has an environmental friendly ducted Ecoline fume hood, vented to atmosphere, suitable for heavy and aggressive extended usage. 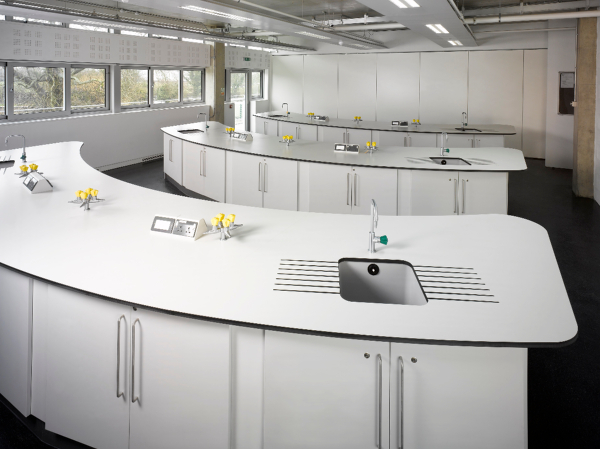 The worktops are Polylab and Trespa Toplab Base with corian and cast epoxy sinks. 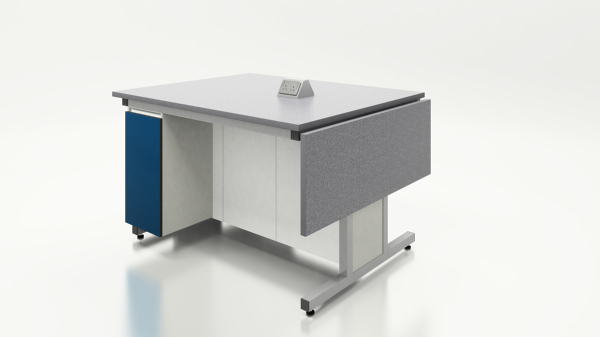 The chosen colours are Speckled Silver Grey for worksurfaces that create a visual feeling of light and space with accents of greys on door fronts and drawers. To find out more about these furniture systems download the Pdf brochures from the Spacestation, Saturn Light, Saturn and Mercury, Crescent and Fume Cupboards pages or visit our Case Studies page to discover other completed projects.